Stand up paddle boarding is an incredibly fun sport for all the family to enjoy. But how can you encourage your kids to join you out on the water? In our experience, children tend to take to water sports very quickly and all they need is a bit of guidance, praise and fun splashed in to guarantee a good time. Just be sure to always have an adult present to supervise and to be aware of safety measures. Before heading straight out to the water, take 10-20 minutes on the grass or sand to demonstrate the best way to stand and get your balance on a SUP (Use our Beginner Paddlers Guide for reference). 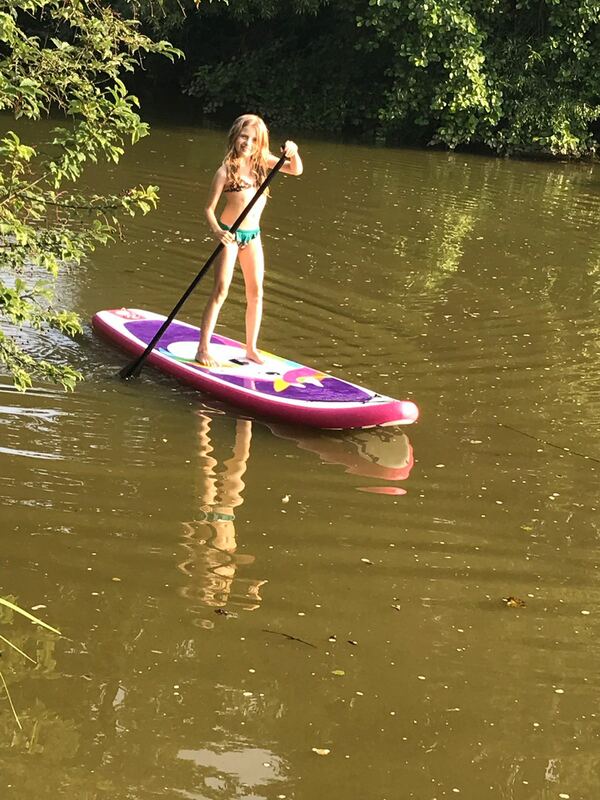 If your child is big enough to paddle on their own, you can show them how to hold the SUP paddle comfortably as well as some basic paddle strokes. Taking this time before hopping onto the water will not only boost your little one’s confidence, it will hold their interest for longer as they strive to put their newly learned skills to use. Getting out on the water for the first time can be very intimidating whether that’s lake, river or sea. Celebrate your child’s paddling success every step of the way with regular words of encouragement. As soon as your child is smiling and having a good time, it will be much easier for them to relax and embrace the experience. It’s always worth throwing in a pinch of healthy competition too, and before you know it, they will be keen to push ahead and get better than you! Turn the sport into a game by adding some small, reachable goals. These goals can be as simple as standing up for five seconds or paddling out to a point then turning around to come back. Keep it interesting and easily achievable but be sure to lavish praise as each goal is met. Once he or she has really got the hang of it, why not add in a scorecard or small competition to make things more fun. It might even spur your child into getting into the sport more. This is a point that we cannot stress enough. If kids are already nervous in and around water, then paddle boarding will not be an enjoyable experience for them from the get-go. We highly recommend teaching your child to swim and encouraging general confidence around water before heading out to try a SUP. Once that aspect is conquered, you can do your best to improve their fear of falling in by showing them how easy it is to get back onto the board. It’s also worth explaining that it is normal to fall off and everyone – including the pro’s! – do it sometimes. If you aren’t enjoying yourself then chances are the rest of the family will be either! Bring along a bat and ball to play some games across the paddleboards or why not even bring the family dog along to have a splash about too. Choose a location where you all feel comfortable and there are activities to do on and off the water. Stop off for an ice cream or a spot of sand castle building and it will transform your SUP lesson into a really fun day out for your kids. 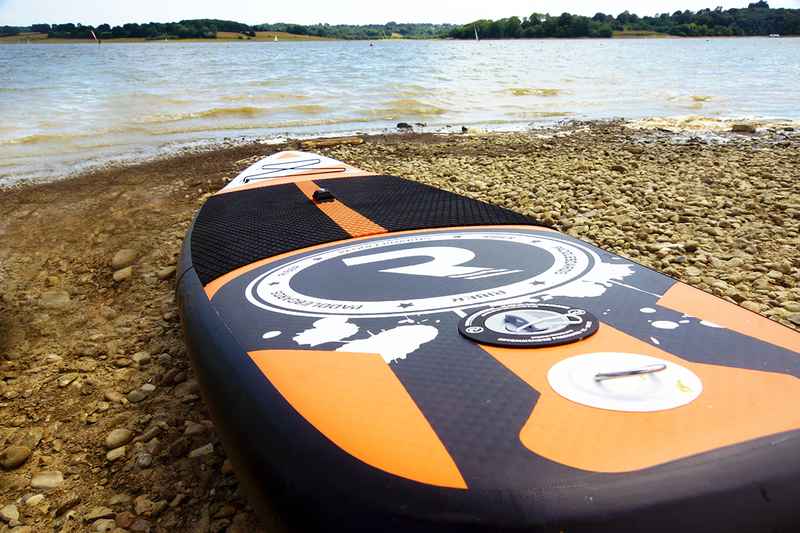 Why not check out our fantastic range of Riber paddleboards for kids? We have the Jolly Roger skull and cross bones board for budding pirates and the magical Unicorn board for those who love to add a little colour and sparkle!